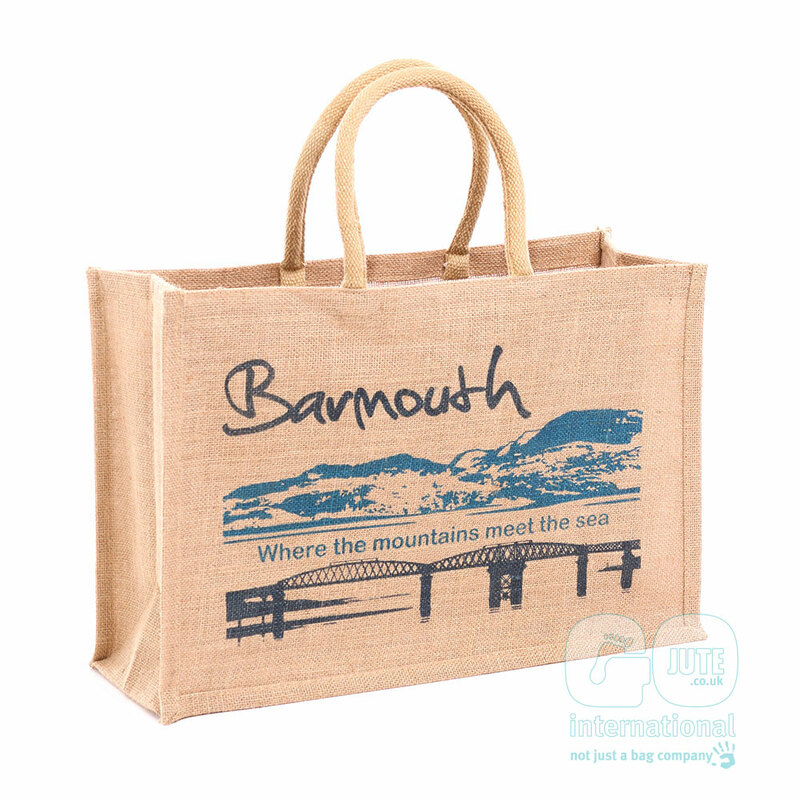 Our Large Jute Bag (GJ019) is the perfect versatile bag that can be carried in hand or over the shoulder due to its luxury short handle. If you’re carrying your weekly shop or just a few essentials the GJ019 has got you covered. Looking to match the bag with your brand colour? look no further our jute fabric comes in over 20 different colour combinations and if you still can’t find the perfect match our overseas production can match the bag to a specific Pantone! 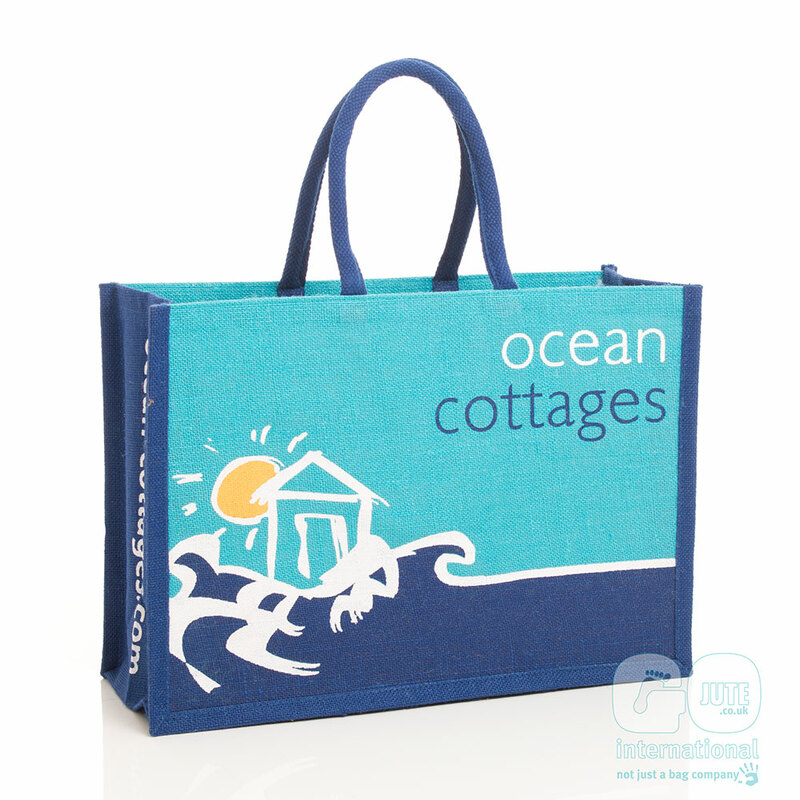 A retail in Barmouth worked with our design team to create this beautiful jute illustration. The bags are being used as a tourist attraction gift for visitors to Barmouth.